Ilminster in Somerset provides a fantastic base for Coach Tours and Weekend Groups. Explore this quiet market town and enjoy the stunning countryside that lies on our doorstep. Ilminster is a charming town home to medieval streets, independent shops and regular markets. It is a great base to explore the many local attractions that Somerset has to offer. Coach tours and groups of varying sizes are welcome at the Shrubbery Hotel– The hotel’s facilities are flexible to cater for any sized group. The hotel has ample coach car parking and provides secure storage with easy access for guests. Privately owned, the hotel offers modern amenities and a warm and friendly service. You can expect to find beautiful surroundings for any coach tour or holiday break at any time of the year. Guests can stay in one of our 23 en-suite bedrooms which are available in a variety of styles, from modern contemporary designs to those featuring architectural features. Ground floor bedrooms are available. 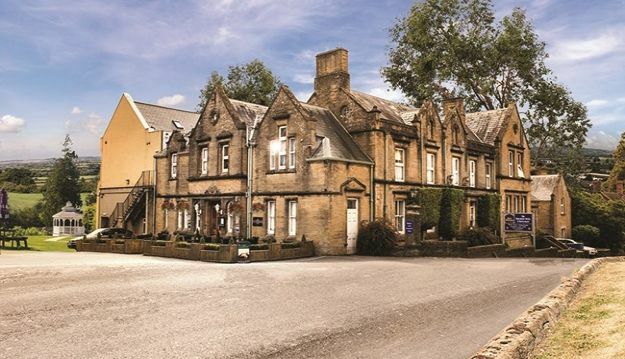 Exclusive use of the hotel and bedrooms is available giving you private exclusive use of the hotel and its facilities, available on a bed and breakfast or dinner bed and breakfast basis. With 25 full paying guests, you will also receive 1 free place. Our aim is to ensure that your event or weekend break is as special as it can be. The hotel is proud to offer a genuinely personal service that you can rely on right from the start, through to the end your stay. Recently, the hotel’s reception, bar and restaurant areas have all been refurbished. The bar, lounge and Revival restaurant are open all year around. Enjoy a simple snack, tasty carvery or more formal a la carte dining. Two-night weekend breaks are available at the hotel from just £40.00 per person per night (based on two sharing a standard room for a minimum of two nights, subject to availability). There is a single supplement of £15 per night. Two-night weekend breaks are available at the hotel from just £50.00 per person per night (based on two sharing a standard room for a minimum of two nights, subject to availability). There is a single supplement of £15 per night. Seven-night week breaks are available at the hotel from just £343.00 per person (based on two sharing a standard room for seven nights, subject to availability). There is a single supplement of £70 per week. For all your coach tour enquiries, please contact the hotel directly. Mr. Simon McBride, Best Western Shrubbery Hotel, Ilminster, Somerset, TA19 9AR.